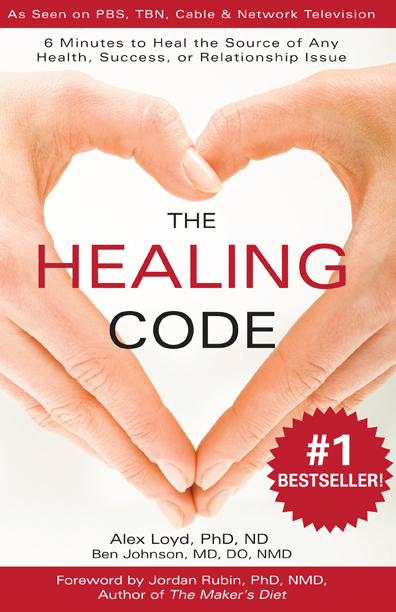 The Healing Code in The Healing Code book is the "universal Healing Code" that works for most people for most issues. We have heard of remarkable results from just using that Healing Code, which is based on 10 years of testing by Dr. Alex Loyd to determine that this Healing Code works for most people and most issues. However, you may have an issue for which you want/need faster results. Or your problem is more serious or urgent. Or you feel stuck and don't seem to be getting the results you desire. Working with a Certified Healing Codes Coach can be just what you need in these cases. I have been certified to develop such Custom Codes for people. The more specifically we can pinpoint your issue, and the more specific a Healing Code is to your issue, the faster--and deeper--the healing. I quickly and easily help you pinpoint the memories, images and beliefs that truly are at the source of what’s bothering you, whether it’s a health, relationship or success issue. Often there are hidden or even generational memories that greatly inhibit healing until they are found and healed. Besides developing Custom Codes for your issue, I will also help you get the most out of using The Healing Code in the book or the Healing Codes in the larger system, so that you will confidently know how to use Healing Codes for the rest of your life. I can also develop Custom Codes for you to use for or with other people, or even a pet. If your issue is especially urgent or strong, or if you're new to The Healing Codes, we can do a Coach-Guided Healing Code together, right over the phone. I will guide you in this "on the spot" code, from the prayer through the "love picture" (if you wish), even including the appropriate Healing Code Music in the background. I record the whole session, so you will later be able to sit back and continue to be guided. Plus, the synergy of us doing the Healing Code together amplifies your healing. You will always be able to do the "Code-to-Go" along with, or instead of, the recorded call. You feel stuck, even after doing The Healing Code for some time. Your issue feels especially raw or urgent. You're just starting out and not sure how to do a Healing Code. You want to get the hang of what to focus on while doing a Healing Code. You would rather just "plug and play" as you do your custom Healing Code. You want to experience my leading the meditation (optional, but a favorite for many). With ANY Custom Coding package, I will be happy to pray for you, if you request that option on your Consent form. For many clients, that is their favorite part! Healing Hearts Circle: Affordable, Coach-Guided Group Codes for the Whole Month! Learn more about the Healing Hearts Circle. "I have been working with Diane on my Healing Codes journey for 4 years and her help is invaluable to me! She is connected and insightful and so in tune to her clients. "Talking about heart issues is a sensitive practice and Diane always meets my vulnerability with understanding and wisdom. As a matter of fact, every time she gently suggests a direction to work on or wraps words around a feeling that I am having trouble articulating she is right on." For those who need and want to make a full commitment to their healing. Details here. "Four Days of Healing Codes vs. 10 Years of Therapy"
"I did therapy for 10 years to help resolve my emotional issues, specifically fear and anxiety, and I've seen more improvement in 4 days of doing [your custom] Healing Codes than I did in 10 years. If you don't already have The Healing Code book, you may also get a copy with 1 personal Custom Coaching session for only $89.95. You're essentially getting a Personal Coding session and the softcover book for the cost of shipping (US only)! Please note: Book can only be shipped within the U.S.
"Can't Thank You Enough ..."
"Just wanted to give you an update on the last code you gave me. Had a healing response from the first time I did the code which in past experience means the code is spot on!! "As of just today, I am feeling a sense of peace and love that I have never felt before and it's eerily exciting!! "Can't thank you enough for digging deeper and figuring out what was really wrong with me ... what a blessing and answer to prayer you are to me!! God bless you my friend." --B.C.